Wind blockerCovers the rear seat and extends upward behind the front seatbacks, preventing cold air from entering the front seat area. Removable. Covers the rear seat and extends upward behind the front seatbacks, preventing cold air from entering the front seat area. Removable. 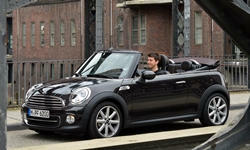 Auto-raising roll bars / headrestsIn some convertibles. Automatically raise when a rollover is sensed. In some convertibles. Automatically raise when a rollover is sensed. 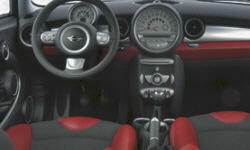 None of our members have yet commented on the available features of the 2012 Mini .